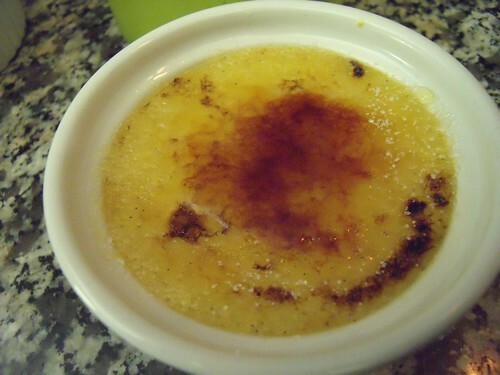 I’ve been making this crème brûlée from an Anna Olson recipe for about five years now, whenever we’re celebrating for my Mum. 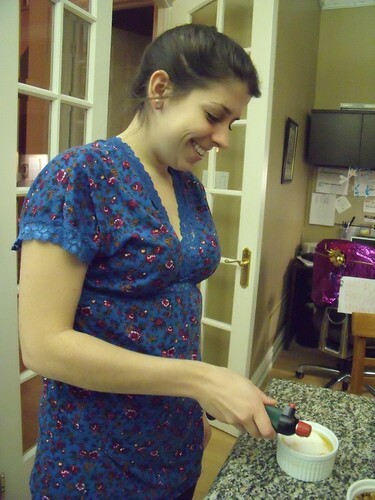 Yesterday was her birthday, and it was definitely time for crème brûlée! One tweak that I made this time around was to use vanilla paste, an ingredient I’ve been using in all of my desserts these days. (I like this Nielsen Massey Madagascar Bourbon Pure Vanilla Bean Paste .) Vanilla paste is a blend of vanilla bean and sugar, so you get the little flecks (and lots of flavour) of vanilla bean in your baking without having to worry about scraping out the bean. 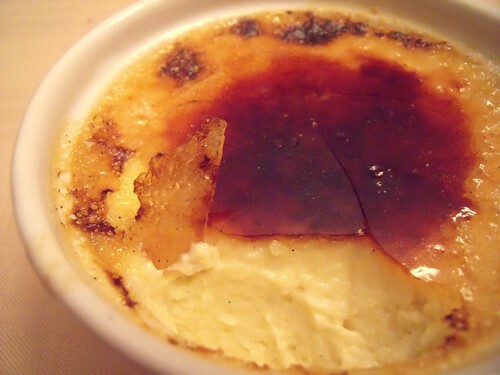 It worked *perfectly* in these crème brûlées, and I highly recommend it — in fact, I don’t even keep vanilla extract on hand any more. Whenever a recipe calls for vanilla extract, I use the same amount of vanilla paste. Yum. We’ve tried low-fat versions over the years with a yogurt and fruit base, and you know what? They don’t work. 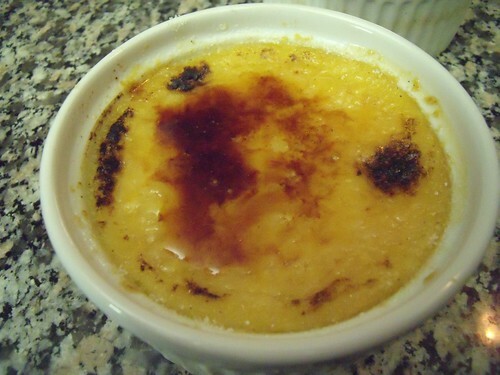 If you’re going to have crème brûlée, do it right and go the full-fat route — with all the heavy cream and egg yolks and sugar — and eat it according to a philosophy I have stolen from Meghan: in the spirit of celebration! 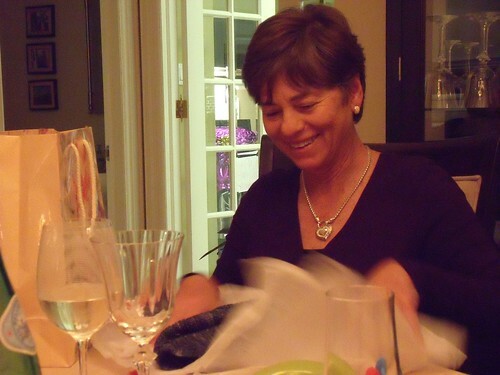 Happy Birthday, Mum! 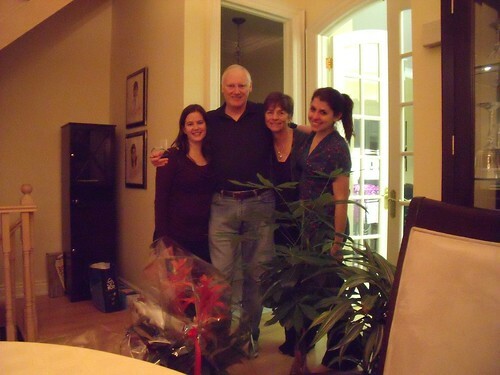 We are so happy we got to celebrate with you! 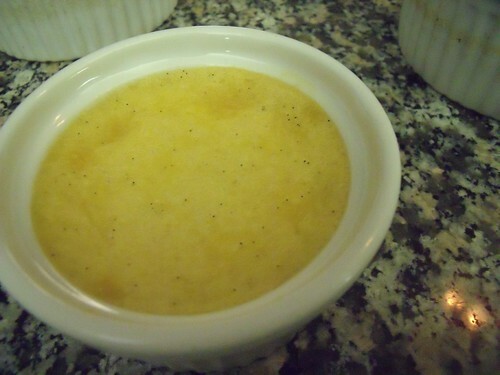 In a pot over medium heat, heat the cream with the vanilla paste until the point just before it starts to simmer. This will infuse the vanilla flavour into the cream. 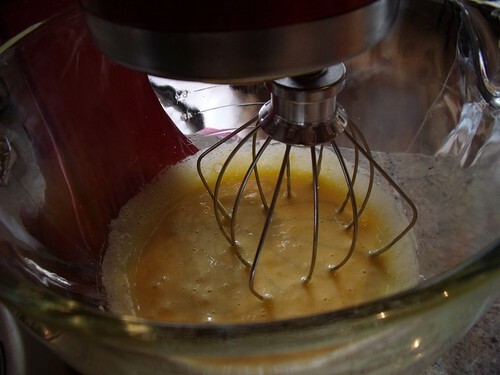 In a stand mixer using the whisk attachment, or using an electric hand mixer, whip together on medium-high speed the egg yolks, sugar, and salt until the mixture becomes pale and thick. 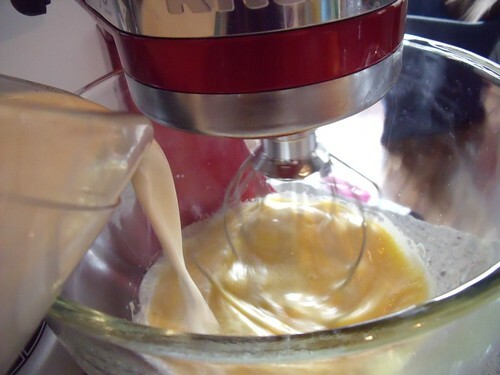 Turn the mixer to low speed, and slowly pour the hot vanilla-infused cream into the egg mixture. Pop the cream-egg mixture into the fridge and let rest until completely cooled. Preheat oven to 350F, and boil a kettle of water. Prepare 6 ramekins by placing them into a baking pan with tall sides so you can create a water bath. Open the oven door, and place the baking pan with the empty ramekins on the oven door. Pour the custard mix evenly into the 6 ramekins. Pour the boiling water around the cups until it comes to the level of halfway-up the ramekins. Carefully move the ramekins in their water bath to the main section of the oven. Bake for 45-50 minutes, until the custard does not jiggle when tapped. Remove the ramekins from the water bath, and refrigerate for at least 3 hours. Now you get to play with fire! 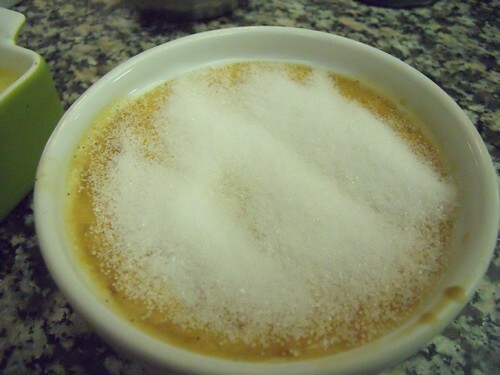 Sprinkle the top of each custard (in its ramekin) with sugar. 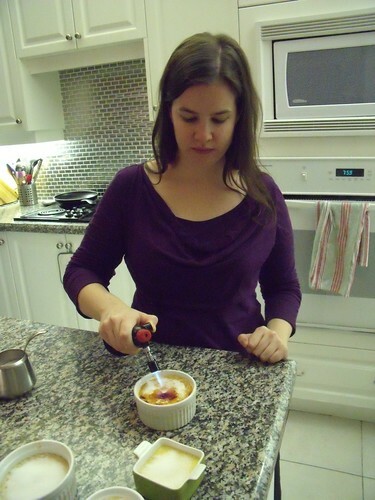 Use a butane mini-blow torch to create a hard burnt-sugar crust over the top of each creme brulee. Move the torch back and forth over the top surface. You will first see the sugar turn to small bubbles, then the surface will start to brown. These dark caramel bits are the most delicious. Let the heated sugar sit and cool, and it will become a solid crust of deliciousness. 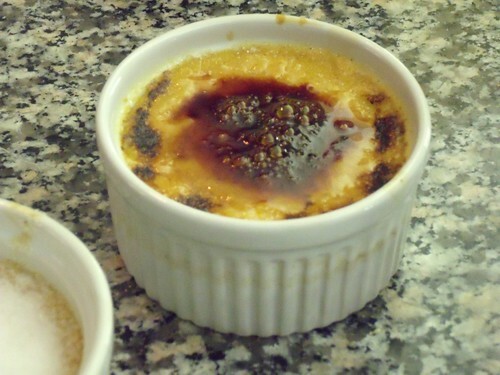 If you don’t have a blowtorch, you can preheat the broiler on your oven to its highest setting, and broil the custards sprinkled with sugar for one minute, until the sugar melts. When it resets, it will form a hard crust. Eat with great joy in the spirit of celebration! What a delightful post from start to finish. No wonder your “mum” had such a great smile on her face! I love your writings, your recipes, and your photos. You have put together such a QUALITY website! Congrats! Thanks, Ms Lins! We really had a great time celebrating together! And thank you for such wonderful compliments! I really appreciate it, and am so glad that you can get joy from my little piece of the internet!